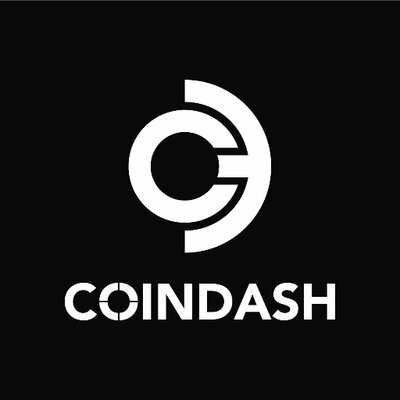 CoinDash is an operating system for crypto assets. Our goal is to lower the barriers of entry to crypto investment markets by providing tools and services that make interacting, handling and trading crypto assets accessible to everyone. CoinDash will offer its products through a unified platform designed with the mainstream user in mind. Crypto investments represent a new paradigm in investing and funding ventures. The CoinDash product is an innovative Market Network, employing the best of marketplaces, social networks, and SaaS to address the needs of tomorrow's crypto investors. Investing requires tailored tools to make trades as efficient as possible, represent data accurately, and help the investor make decisions. CoinDash’s SaaS layer includes an array of independent and self-contained tools, custom designed for managing and interacting with crypto assets. Portfolio Management - automatically queries added crypto accounts (ethereum, bitcoin, exchanges, etc) to build a complete picture of the portfolio’s performance, risk, and diversification analytics. ICO automation - enables IF-THEN automations on ICO investments. Example: invest in ICO X if 75% of the cap is raised within the first 24 hours. Trade Automation - enables IF-THEN automations on trades. Many blockchain investors, and certainly new users, will find it difficult to navigate the complexity of the blockchain space, understand what assets to hold, when to buy, when to sell, and which ICOs are worth participating in. This steep learning curve creates a real barrier of entry for many people interested in investing in the blockchain space. Some crypto investors became leaders in discovering and assessing new investment opportunities. With CoinDash’s social network tools, experienced investors can monetise their knowledge and expertise by sharing their portfolio performance with other users. Expert investors can earn fees and gain influence by accumulating followers on the network. Singal trading is a social trading feature which enables users to receive real-time trading signals from top investors. The signals are specific and detail the amount traded, assets, and the exchange or blockchain. Users can then choose to act on the signal or not. The signals are generated automatically by the portfolio management core which is aware of all the trades followed by the user, guaranteeing validity and transparency. Signal trading is a good way to get acquainted with market dynamics and learn what the top investors are doing. The user pays a recurring subscription to get real-time trading signals from a particular investor. Copy-trading is an automated trade engine based on the signal-trading feature. Users can set aside a portion of their token holdings to copy-trade top investors. CoinDash and the copied investor never hold any funds in the process. Copy-trading on ConDash is completely decentralized and governed by a dedicated system of smart contracts. The smart contracts promote security and transparency, enabling developers to enhance the functionality and offering users custom modules (see developers section).This gives the user complete control of their funds. Fee Structure: percent of trading volume. 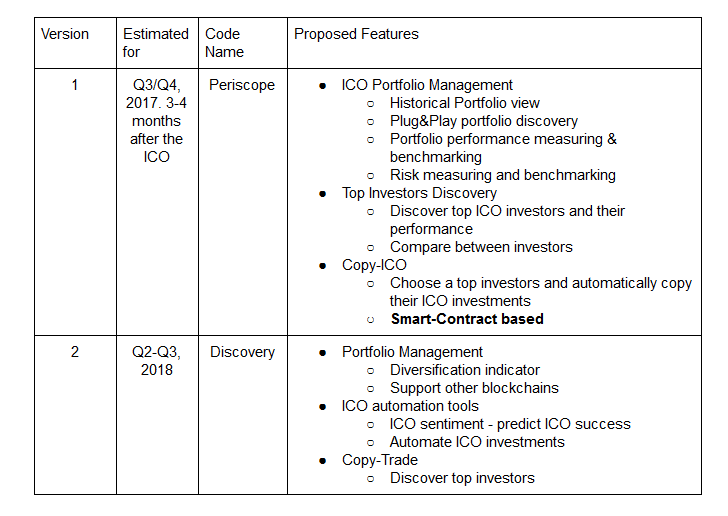 ICO copy-trade: A common example for copy-trading will be an ICO. A user follows a top trader who invests in an ethereum (can be any blockchain who supports token creation) based ICO. CoinDash detects the ICO investment and immediately generates a copy-trade request. Once the request is validated by the smart contract, the user participates in the ICO. Exchange copy-trade: The copied user buys Golem(GNT) tokens with ether. The user’s copy-trade smart contract receives a request to send the cheapest exchange account the user holds a predetermined amount of cryptocurrency. Once the request is validated by the smart contract, it sends funds to the exchange. CoinDash sends the exchange, via API, a trade request. Once the trade is executed, CoinDash can automatically send the bought GNT tokens back to the smart contract. All fund transfers are between user-owned accounts; CoinDash did not hold any funds. CoinDash’s marketplace is built around maximizing opportunity discovery and streamlining trading. Using data generated by the SaaS and network layers, CoinDash will enable users to make trades directly on the platform. User’s can follow top traders and receive real-time trading signals from them. With the marketplace, the user will be able to act on a signal directly from CoinDash and track its performance seamlessly. Keeping track of ICOs is getting harder and harder as their number and quality keep getting higher and higher. CoinDash integrates with leading research and content creators to bring accurate and reliable information in a graphical ICO dashboard. This enables the user to keep track of past, present and future ICOs and invest in them using CoinDash. CoinDash users will never have to worry about missing a promising ICO ever again. It's important to get a full overview of the market and the different assets in a clear and precise manner. CoinDash will be a one-stop resource for the information a crypto investor needs to track the performance of all crypto-assets, make informed decisions, and act on market trends. New investment channels are being developed all the time. Enabling users to easily interact with investment opportunities and keep track of their performance is important. CoinDash will build a dedicated SDK for developers to integrate 3rd party investment instruments and enable users to invest in them directly from CoinDash. Example: Melonport is a project that creates the infrastructure for decentralized funds. Integrating it with CoinDash will enable our users to discover new investment opportunities, invest in them, and track their performance. CoinDash strives to support all smart contract blockchains for social trading features. The current implementations support ethereum and RSK. CoinDash will make tools available for developers to extend functionality and offer greater value to users. SaaS - The tools developed by CoinDash for crypto investors under the portfolio management platform will enable module creation for pricing source, trade and transaction history, account types, indexes calculations, and more. Network - The copy-trade architecture is built around a smart contract system which promotes transparency and extensibility. All plugin modules will enable 3rd party developers the opportunity to create their own implementations. 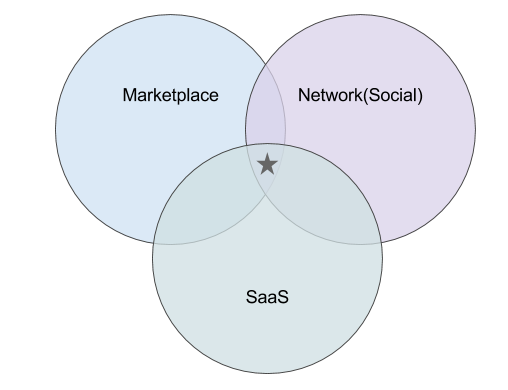 Marketplace - Enabling 3rd party investment instruments to integrate is necessary to promote a better marketplace for developers and investors. CoinDash will enable 3rd party developers to integrate such tools and expose them to CoinDash users. Venture capital (VC) saw its biggest rise during the 1960s and 1970s when VC funds started focusing on fast growing companies. Those companies were concentrated in the tech sector and promised to lead breakthroughs in electronics, medicine and data processing. As a result, venture capital became synonymous with technology finance, evolving with the needs of the companies and enabling them to grow at astounding rates. One can argue that VCs played a crucial role in the technology revolution. underlying asset. One such case is the Ethereum blockchain ICO which raised more than $15 million in 2014. ICOs are a new funding model for start ups that is playing an important role in the blockchain industry, the same way VCs played a major role in the technology revolution. 2016 saw an enormous increase in ICO activity. Interest and media coverage of blockchain technology has been expanding rapidly in the last few years. This increasing awareness of the promise of blockchain technology has greatly expanded the number of people who can be considered potential crypto-users. These are people who are interested in blockchains, but feel intimidated by the high technological barriers of entry typical of most blockchain products. If token creation (and therefore investments) are the most common use-case for blockchain technology, then enabling more and more people to invest in crypto assets is of the highest importance. CoinDash’s investment tools will attract experienced crypto-investors to our platform. At the same time, CoinDash’s social networking tools and information products will lower the barrier to entry for potential users and bring new investment dollars into the blockchain industry. participate in the blockchain economy. Providing high performance investment tools will encourage more people to enter blockchain markets. 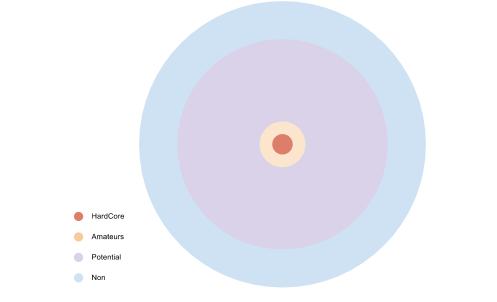 The graph above visually represents the various user groups as discussed above, showing the huge potential to which crypto investments can expand. Hard-Core: users who have their life savings and salary in crypto, invest in many types of investment instruments. Amateur: users who have a substantial amount of their savings in crypto. Potential: users who, with the right accessibility to investment tools, will invest in crypto assets. Non: users who most probably will never consider investing in crypto assets. CDT tokens distribution is just around the corner in the meanwhile, we are excited to present you the CoinDash Loyalty program. The participation in the Loyalty program is available only to participants of the CoinDash token sale. In order to qualify, make sure you keep the full amount of CDTs in the wallet address used during the CoinDash Token sale. The program has 3 accumulative time slots according to which participants can gain rewards. Each time slot lasts 3 months starting instantly after the upcoming distribution date. The exact slot dates will be announced after the distribution of the tokens is completed. The program rewards a total of 15,000,000 CDT. During the course of each time slot 5,000,000 CDTs will be distributed between all participants. The pool will be distributed to all of the participants according to the CDT amount in your wallet, the larger the amount, the bigger your stake in the pool will be. After the first time slot rewards will be distributed, participants can either move their tokens elsewhere or continue with the program for additional 3 months, the number of participants will probably decrease over time, effectively granting bigger rewards for the most loyal contributors. As no real lock is placed, all participants can choose to move their tokens between addresses at any point, however, doing so will effectively mean they are forfeiting their CDT rewards and can no longer participate in the loyalty program. No proportional rewards will be granted for partial periods. In order to participate in the program all users are required to link their address to the CoinDash platform where they can monitor their CDTs as well as the rest of their portfolio. After receiving many suggestions from our community, we have decided to allow short and long term participation, dividing the payout into 3 time slots, benefiting those who will hold their CDT for longer periods of time. We overcame quite a few challenges in the last couple of days with many more obstacles down the road, the token distribution will mark a new beginning for CoinDash. The Loyalty program is a step forward that we are taking with those of you who dreamed with us before and still put their faith in CoinDash. As always, we are looking forward to creating the future of trading. Oh what a month July was. We had some ups and downs but one thing is for certain, now that the Token sale is behind us we are marching forward with full speed and power to develop our main priority, the CoinDash platform. Here is a quick recap and announcements about the events to come during August. Distribution — Last week we completed the majority of CDT distribution. As we already committed to do, everyone who participated in the CoinDash token sale who sent ETH to the correct token sale address and the fraudulent address received the tokens they rightfully deserved. The distribution process was done according to the data derived from the blockchain by taking into account the ETH sent to the fraudulent address and the burning addresses. Large contributions were examined and verified personally by the CoinDash team and we anticipate that the rest of these transactions will take a few more days to be over with. During the distribution process timeline, some contributors failed to burn their old CDT. The allocated CDT of those contributors will be held by the company until they are claimed and verified. Bounties — As planned in the first place, the Bounty rewards are scheduled to be distributed to all participants two weeks after the distribution date. Since not all participants of the token sale have received their CDT yet, the distribution date has not been finalized. However, In order not to delay the bounty distribution too much, the official distribution date will be this Tuesday August 1st, even if not all token sale contributors received their shares. As a result of the above, all bounty participants are scheduled to receive their tokens by August 15th. In the following days, the team will finalize all spreadsheets and will get the bounty portal back on air after it is secured for all of you to see your stats. Soon enough all participants will get their Stars/CDT conversion ratio. CoinDash’s Beta version update — After a week off, we are back to business getting the new Beta version ready for release. This time our focus will be on providing better app performance, stability, and clarity to the overall dashboard and portfolio management suite. 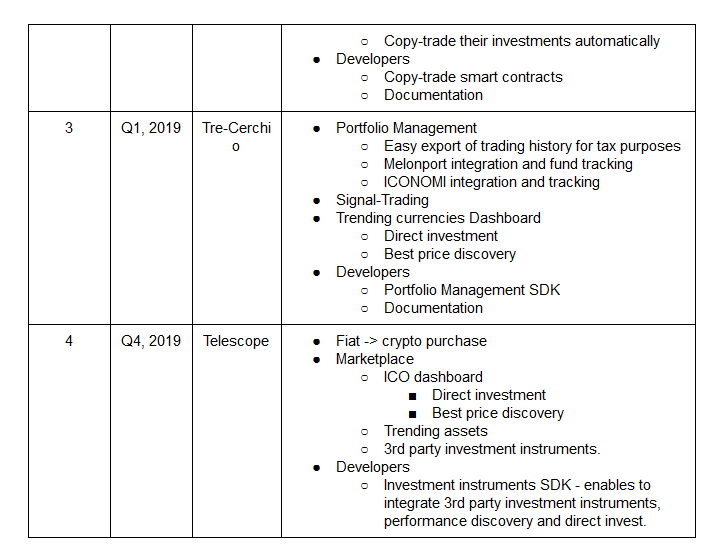 In the coming weeks and months we will build features that deliver more information to the average user in an easier-to-understand manner, and give users more powerful details about their portfolio benchmarking and greater granularity on portfolio performance and individual coins and tokens. Loyalty Program stats — As distribution took place earlier last week, so does our Loyalty program. According to the blockchain data, Almost all of you kept your eligibility for the reward by not moving your tokens elsewhere. We would like to remind you that those numbers are prone to change as distribution is expected to be over with this week and soon enough the tokens will be listed as well. Exchanges listings — We know all of you are eager to hear some details about the expected Exchanges to trade CDT and the exact listing dates. Please understand the due to the delayed distribution of our tokens we have now entered a difficult timing in regard with exchanges listing as practically all of them stopped listing new coins for the past week and probably for the next few days due to the Bitcoin fork uncertainty. For the avoidance of doubt we can confirm we are in talks with several exchanges at the moment and although we can’t provide you with specific details about them at the moment, we are expecting the CDT trading to start shortly. Once confirmed all details will be given to you in our regular channels. This is it for the moment, stay tuned for further information to come. It is time for our weekly update, there is lot to discuss and announce this week so let’s get to it! The above numbers evidently show traders in the space lack a platform which can provide improved portfolio management and investment decision making tools. We are grateful for each and every one of our community members and consider ourselves lucky to have you guys onboard. We wish to grow our community and continue the constant engagement with all of you, thank you for accompanying us through this journey. Bounty Distribution — As promised, we have distributed all bounty rewards earned by our community in the different bounty campaign during our token sale campaign on schedule. A day after the bounty distribution was completed, the distribution of CDT to the Wings DAO foundation took place making the tokens available for their forecasters. For the last time, we would like to thank all of the 3,000 bounty participants who took part in CoinDash campaigns and helped us spread the word about our project, We couldn’t have done it without you! CoinDash NEO joint development and coming integration — CoinDash is excited to announce an upcoming joint development effort and integration with one of the rising stars in the crypto space globally and the first successful ICO project in China, NEO. Since our inception we have targeted the Chinese market as a major growth engine for our company. 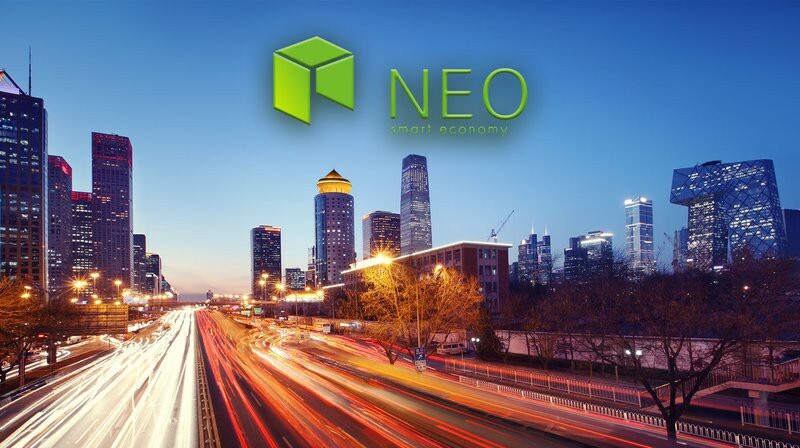 NEO (previously known as Antshares) is CoinDash’s first partner in the local market and will be one of the first Blockchains integrated to our ecosystem. More details about our partnership and shared goals will be revealed on a separate release later this week. A new addition to our Dev team — Scott Yu is joining us as a full stack developer. Scott brings a rich background and many years of experience; previously co-founded Qwikwire, a cross-border payments platform. He discovered Bitcoin in 2013 and started immersing in crypto since. Scott stumbled upon CoinDash and recognized its unique approach to a problem every crypto investor have ‘how to better manage my crypto assets’. He enjoys working on the server side and crafting microservices. But he finds most joy when delivering intuitive experience on the client side. Scott is also the largest code contributor of the new calculation process we’ve introduced last week which enabled a 10 times faster portfolio calculation. Scott was previously one of CoinDash’s Beta testers before making the transition and becoming a full team member, Welcome to the family Scott! This is it for this action packed week, see you next week!